This morning I awoke to find that the fall color was moving in. And quickly. 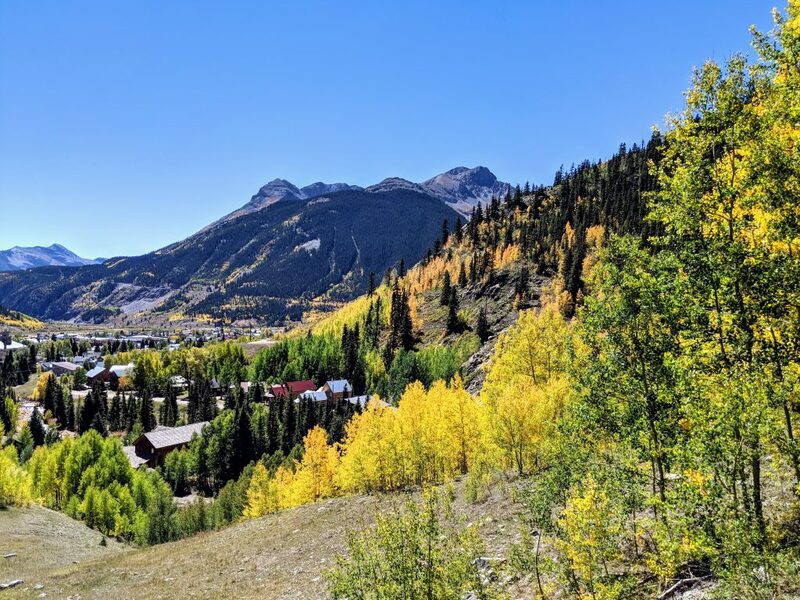 Many of the local mountain trails connect Ouray, Teluride, and Silverton, so if you’re in the area and you’re Jeepin’ around, you’ll most certainly end up visiting Silverton. Silverton is a former silver mining camp, most or all of which is now included in a federally designated National Historic Landmark District called the Silverton Historic District.